EEQO – Natural Cleaning Solutions – Cleaning that makes you feel good! a better and healthier planet. Natural, save, effective & affordable. Safe & Sustainable for all your devices. to good initiatives that support our planet. At EEQO we want to realize a better, healthier and cleaner world by encouraging the use of natural, ecological and environment-enhancing maintenance and cleaning products for our customers. We do this both for the professional and for the consumer market with our brands and RHINOC, RHINOC Sport and Seesoo. 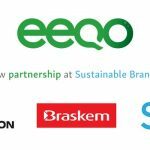 At EEQO, we strongly believe that we can create a better, healthier and cleaner world. We want to raise awareness that stopping the use of toxic cleaning products is achievable and crucial for creating a healthier eco system and environment. Although it’s only a small change, it contributes to creating a healthier ecosystem and environment in a very important way. At EEQO we are always looking for the best natural cleaning products, recipes and packaging. Together with our microbiologists, suppliers and customers we are commited to make a difference. We’re not perfect yet but we strive to improve ourselves every day. To emphasize our mission EEQO donates 5% of its earnings to great initiatives that support and improve nature, the environment and the wellbeing of children. 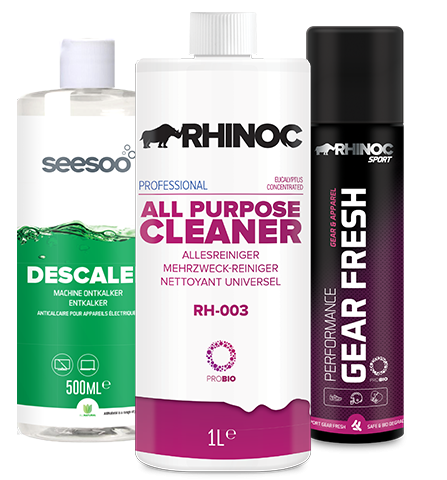 At EEQO we sell maintance and cleaning products which are environmentally friendly. Where possible they contain 100% natural ingredients and plant extracts. Our revolutionary probiotics range even improves and enhances the environment because of the use of good microorganisms. All of our maintenance and cleaning products are save, effective, affordable and have a modern elegant design. POWERFUL CLEANING SOLUTIONS FOR THE PROFESSIONAL MARKET. MAINTENANCE AND CLEANING PRODUCTS FOR ATHLETES, GYMS & CLUBS. SMART, SAFE AND SUSTAINABLE MAINTENANCE AND CLEANING PRODUCTS. We want to make a difference in the world. 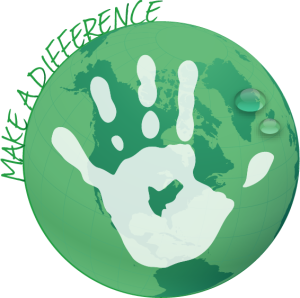 Not only by selling effective, natural and affordable maintenance and cleaning products, but by giving back as well. We call this: “EEQO supports the planet”. We donate 5% of our revenues to amazing initiatives that improve the environment, nature and the wellbeing of children. We help to save the rhino’s & elephants, reduce plastic polution and we contribute to wellbeing of children. We would love you to join our mission! That there is enough plastic floating in the ocean to cover all of Russia? That it takes 500 to 1000 years before plastic is degraded? The New EEQO Website is live! At EEQO we are always looking for new partners who want to help to bring our products further in the market. After all, together we can make a difference. Follow us on Social media or sign-up for our newsletter and stay informed about our latest developments.